The crisis of the power sector reforms, carried out over the last three decades, particularly after enacting the 2003 Electricity Act, is now becoming worse. It is estimated that 25,000 MW of capacity today is lying idle, as the distribution companies are not able to pay for electricity. Under pressure from the finance ministry, banks have lent money to the private power companies. As a consequence, Indian banks’ exposure to the power sector stand at Rs. 5.83 lakh crore (September 20015), which is 22% of all outstanding banking loans to industries. Crisil, the credit rating agency estimates (October, 2016) that Rs. 1.34 lakh crore, given to private power companies is at “high risk”. These loans are to Adani, Vedanta, Jaypee, Jindals, Ambanis, GVK, Tatas -- the big names among Indian capitalists – and are now in the danger of becoming bad loans; or in banking language, Non-Performing Assets (NPA's). Meanwhile, the distribution companies (Distcoms), almost entirely owned by the state governments, have accumulated losses of approximately Rs. 3.8 lakh crore, and outstanding debts of Rs. 4.3 lakh crore (as on March, 2015). While the UDAY scheme has transferred a large part of this debt to the state governments, and reduced the interest burden on the Distcoms, the problem of the losses of the distribution companies still remain. It is embedded in the so-called reforms that were introduced in the 90's, that gathered force with the Electricity Act 2003, and continuing under the Modi government. The vision of the Indian political leadership of the role of electricity in the development of the country has undergone a sea change. We had started with an understanding that electricity is the backbone of a modern nation, and the state had the duty to develop this sector to meet the needs of development, as well as provide electricity to the people at a reasonable cost . This was the vision of the 1948 Electricity Act, piloted in the Indian Constituent Assembly by Babasaheb Ambedkar that led to setting up of the State Electricity Boards (SEB's). The current vision – if it can be called a vision – is that the gods of the markets, helped by a hefty dose of crony capitalism, will solve the problems of supplying people with electricity and developing this sector. Instead, we have high cost of electricity, and ideep financial crisis of the sector. Before the 90's, the electricity sector was organised through utilities. In a given geographical area, there were electricity utilities that had all three functions – generation, transmission and distribution of electricity. In the 90's, the World Bank and various international agencies promoted the concept of “unbundling” of the electricity sector, that generation, distribution and transmission could all be separated. This, we were told, would lead to competition between generators and bring down the prices; or so the neoliberal economic theory ran. The purpose was of course different – it was to privatise the more lucrative parts of the electricity sector, leaving the loss making sections with the state. The unbundling of the electricity sector in India saw a large number private players enter generation. Transmission remained almost entirely in the hands of the state, while only two states -- Orissa and Delhi – privatised their distribution. What is the experience of this unbundling? After unbundling, have the utilities become more efficient as was originally claimed would happen? Instead, with unbundling of the sector, the losses have increased dramatically. For example, the losses of the SEB's in 1992-1993 were of the order of Rs. 2,725 crore (Planning Commission: 2002). After 10 year of reforms, it had increased to Rs. 24,837 crore or by about 9 times. Today, the accumulated losses of the Distcoms stand at about Rs. 3.8 lakh crore or 140 times from the losses they had in 1992-93! If the unbundling of the electricity sector was for the purpose of improving its financial efficiency, this certainly has not happened. Neither has it bothered the neoliberal establishment that the policy mix that was supposed to have addressed this issue of losses of the sector has only lead to much bigger losses. The astonishing part of this story is that no one today even talks about the reforms and why unbundling has not worked. A review of the prescription is not only not in order, the arguments that competition is the only way to improve efficiency is repeated almost as an article of religious faith, without bothering about the evidence. If we discount this myth of competition and electricity markets, what was the objective of reforms and unbundling of the electricity sector? There were three drivers of the so-called reforms of the electricity sector, all of which used the losses of the sector as the excuse. One is that Indian big capital felt that it had come of age, and no longer needed the Indian state to build infrastructure for its use. The second was that global capital was running out of investment opportunities in the advanced countries, and looked at the infrastructure of developed countries as a new market. The third was big equipment manufacturers such as Siemens, GE, Westinghouse, ABB, Hitachi etc., who looked to open up the developed countries markets. However, most of these companies were not interested in taking over distribution. They wanted the easier route – build power stations – and sell electricity through assured purchases (Power Purchase Agreements or PPA's) to the State Electricity Boards. This is how we entered the era of reforms through PPA's, the most notorious being of course Enron. But we should not also forget a whole range of other PPA's that had been signed and would have led the entire electricity sector in a much bigger crisis, if the people had not resisted Enron and defeated its backers. Lest we forget, the backers were the Manmohan Singh government that signed the agreement, and also the 13-day Vajpayee government in 1996 that gave Enron a sovereign guarantee that was to prove very costly for India. The Enron debacle not only put paid to the PPA route for setting up of power stations, it also led finally to abandoning the costly and foolish LNG/Gas based power stations that we adopted in the 90's. About 14,000 MW of gas based stations are idling in the country today, as it is cheaper to pay their capital or fixed costs, and not draw power from them. 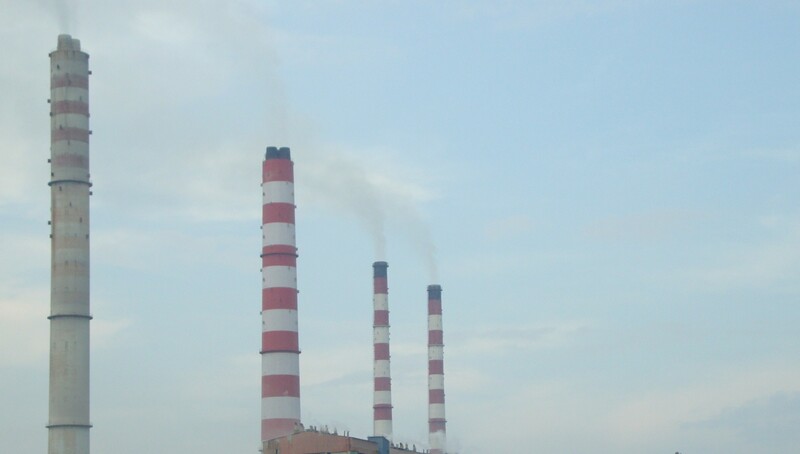 The Dabhol plant, taken over by NTPC is one of them. Electricity has once characteristic – its supply and consumption must balance at all times. It is because of the need to keep supply and demand in balance, that we also have the possibility of gaming the system: the suppliers can withhold supplies, create a short term imbalance and drive up the price of electricity in the market. This is what Enron did in the California, when it tried to introduce power markets. Not surprisingly, the US stopped its market reforms after the California debacle and is still persisting with the utility model, while pressing the developing countries to reform their electricity sector and introduce “market” reforms. We appear not to have learned anything from the double Enron fiascos – the one in Maharashtra and the other in California. The World Bank ideologues, who have taken over the top policy positions in India, continued with their goals of dismantling the state owned electricity sector. The Electricity Act 2003 virtually mandated trifurcation of the State Electricity Boards (SEB's) into a number of companies – for generation, transmission, and distribution – was pushed by the NDA government with the complete support of the Congress. Only the Left opposed it in Parliament in 2003. And only Kerala still retains its stand of not trifurcating the SEB. The 90's also saw the centre cut back on its support to to the states in adding to their generation. India, who was then adding about 40% per each Five-year plan, lowered its investment to less than a 20% increase of generation in the 8th, 9th and 10th Five Year plans, creating large shortages of electricity. Prices of electricity were consequently high. High prices of electricity provided an incentive to the private sector to invest in generation. The government also promising easy finance from the public sector banks, captive coal mines to the private companies. This combined with the availability of cheap equipment that could be sourced from Chinese manufacturers on easy financial terms. Manmohan Singh, who himself headed the coal ministry in the first UPA government, gave away coal mines to private generators at throw away prices. As we discovered later through the CAG Report (Coalgate), these companies did exactly what the companies securing 2G spectrum did; they either sold their licenses at whopping prices, or sold the coal in the open market, making huge profits. Priority sector lending from nationalised banks was made available to these private players under the then Finance Minister, PC Chidambaram. As we know from the Enron case, private capital brings in only fictitious capital. It takes loans, “overpays” to equipment vendors or turn-key contractors, and recycles this money through some fancy book-keeping, as “their share” of capital. Most of “their” capital has come from the recycled funds borrowed from the banks through over invoicing for equipment, the time honoured dodge of Indian capital. Therefore, the private players are not bothered about the crisis of their companies. They have already taken their money out of the companies. The ones left holding the bag are the big public sector banks. Who are these companies? They are the Ambanis, the Tatas, the Adanis, and so on. These are the same players who benefited from the Coalgate under Manmohan Singh, and are now the favoured ones for Modi. Indian Express in October 2012 had identified, “The projects facing potential stress include Adani (4 projects with a debt of Rs 24,100 crore), Lanco (five projects with a debt of Rs 22,100 crore), Reliance ADAG (three projects involving a debt of Rs 32,600 crore), Tata Power (one project with a loan of 14,400 crore), IndiaBulls (four projects with a debt of Rs 21,200 crore) and Essar (seven projects with Rs 21,900 crore debt)”. To this list, we can add, Vedanta, Jindals, GMR, and Hindujas, who have also borrowed heavily from the banks. According to the Express predictions then, all these would need “debt restructuring” or government bailouts in 2015. And this is exactly what we see under way – the government “writing off” the bad loans of Indian capitalists of more than a lakh crore (Rs. 1.14 lakh crore) in the last three years (2013-2015) and about Rs. 60,000 crore the last financial year (2016). A significant part of these waivers are in the electricity sector. In the next part, we will take up the crisis of the distribution sector reforms, and what needs to be to resolve the larger crisis of the sector. WhatsApp Mass Messaging and NaMo TV: BJP Bending or Breaking Election Rules? BJP’s use of automated, mass messaging on WhatsApp, and political campaigning on NaMo TV has thrown up a serious challenge to the EC. The BJP administration, led by PM Narendra Modi, has established an ethno-religious and populist style of rule since 2014. Elections 2019: Will Youth And Students Change the Picture of Malappuram and Ponnani constituencies?